Senator Lindsey Graham (R-SC), a senior member of the Senate Judiciary Committee, has been assured by Acting Attorney General Matthew Whitaker that he will not fire special counsel Robert Mueller, according to The Hill. Graham and Whitaker met Thursday afternoon in the Senator's Russel Building office, where Whitaker - who replaced ousted AG Jeff Sessions, said he doesn't see anything wrong with Mueller's probe. “As to the Mueller investigation, I’m confident that it is not in jeopardy,” Graham said following their meeting, adding that Whitaker doesn't think that Mueller's probe has exceeded any DOJ guidelines. "There’s no reason to fire him. I asked him, ‘Do you have any reason to [fire] Mr. Mueller? 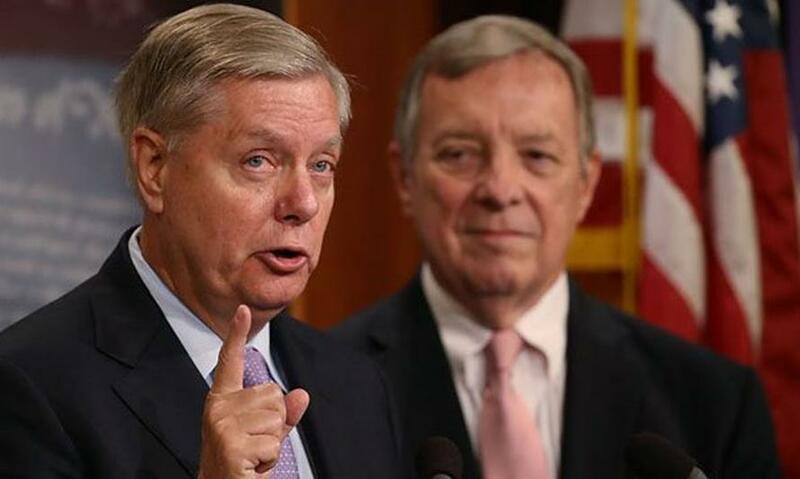 He said he has zero reason to believe anything is being done wrong with the Mueller investigation," said Graham, recalling the conversation. "There’s a regular-order process where the special counsel makes requests to the deputy attorney general and the attorney general. That’s the way the system works," added Graham, who explained that Mueller has obtained the necessary signatures from various senior Justice Department officials throughout various stages of his investigation. Graham has co-authored legislation that would protect the special counsel from being fired without good cause. The bill codifies existing Department of Justice regulations requiring that a special counsel only be fired with proper justification by a senior Senate-confirmed Justice Department official. Whitaker's appointment has received massive backlash from Democrats, who have pointed to comments he has made regarding the scope of Mueller's investigation - seemingly in stark contrast to what he has told Graham.